The REvision DIvision is building functional and affordable furniture in it’s not-so-secret laboratory. Doors, cabinet doors, reclaimed wood, used hardware and other materials are being upcycled into chests, tables, armoires, cabinets and other household items. Eberhard Eichner is the mastermind behind The RE Store’s long-envisioned program that got off the ground in the spring of 2011. These pieces are being designed and built locally and are flying out the door as fast as Eberhard can build most of them. View REvision Division pieces in our showroom. 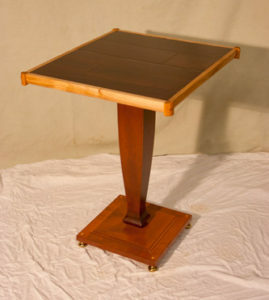 More photos and info can be found about this affordable and beautiful furniture here.